Time: 2pm-2.15pm for refreshments, 2.20pm-2.50pm in your child’s classroom. Time: 2pm – 2.15pm for refreshments, 2.20pm – 2.50 pm in your child’s classroom. 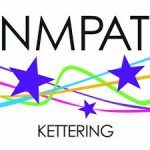 The next Relaxed Singalong is on Saturday week on 19th May at NMPAT’s Kettering Centre: 10:30am to 11:30am. These FREE sessions are specifically tailored towards the needs and abilities of children with special educational needs, communication disorders and other disabilities. But, as importantly, the sessions are also very much open to all the family… both young and old. All are welcome! At each Singalong, our team of specialist artists lead everyone through a wide range of different songs to suit all ages, abilities and interests. We use lots of different props to make the songs interesting and exciting (e.g. real bubbles with “I’m Forever Blowing Bubbles”) as we as some assistive music technology (e.g. digital switches) to help everyone join in. A signer is also present at the session and Makaton symbols are used to help children better understand the meaning of the songs and follow the lyrics. For further information and/or talk to organisers about any specific needs children may have, do please contact us. A wonderful opportunity for some quality family time connecting with nature in a truly special woodland completely surrounded by fields. A dedicated woodland activity session for SEN children with a range of activities to engage with as they choose. We’ll have an area for sensory/arts and crafts activities as well as opportunities for getting involved in some tracking, bug and butterfly hunting, building mini-dens for a favourite toy (if they’d like to bring one with them) and even some cooking over a camp fire. The woodland is located between Thrapston and Corby, just outside the village of Sudborough. This session is filling up fast so please don’t delay booking or you may be disappointed. All resources, food and drink provided during the session and parking within the woodland is included in the price.